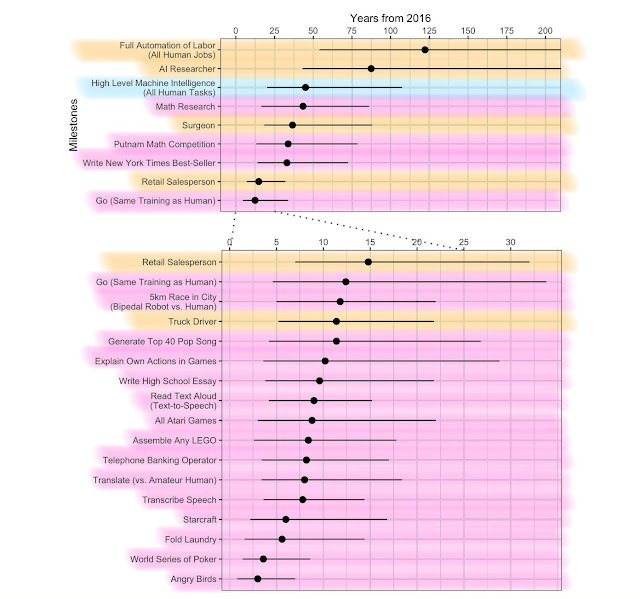 These predictions are from a recent survey of AI/ML researchers. See SSC and also here for more discussion of the results. Advances in artificial intelligence (AI) will transform modern life by reshaping transportation, health, science, finance, and the military. To adapt public policy, we need to better anticipate these advances. Here we report the results from a large survey of machine learning researchers on their beliefs about progress in AI. 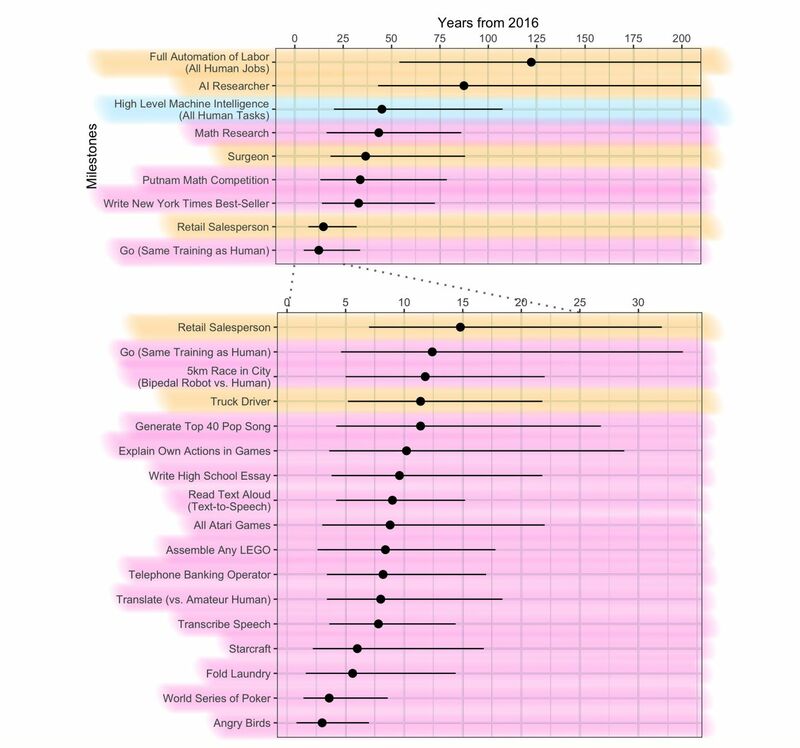 Researchers predict AI will outperform humans in many activities in the next ten years, such as translating languages (by 2024), writing high-school essays (by 2026), driving a truck (by 2027), working in retail (by 2031), writing a bestselling book (by 2049), and working as a surgeon (by 2053). 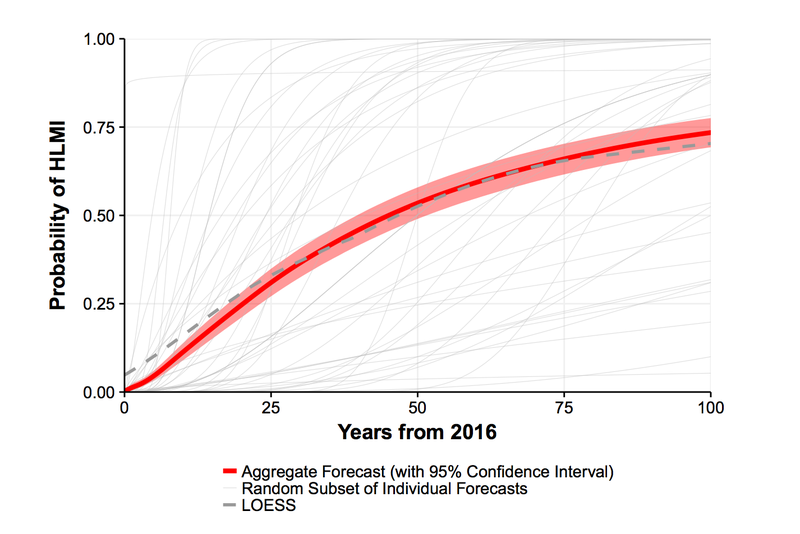 Researchers believe there is a 50% chance of AI outperforming humans in all tasks in 45 years and of automating all human jobs in 120 years, with Asian respondents expecting these dates much sooner than North Americans. 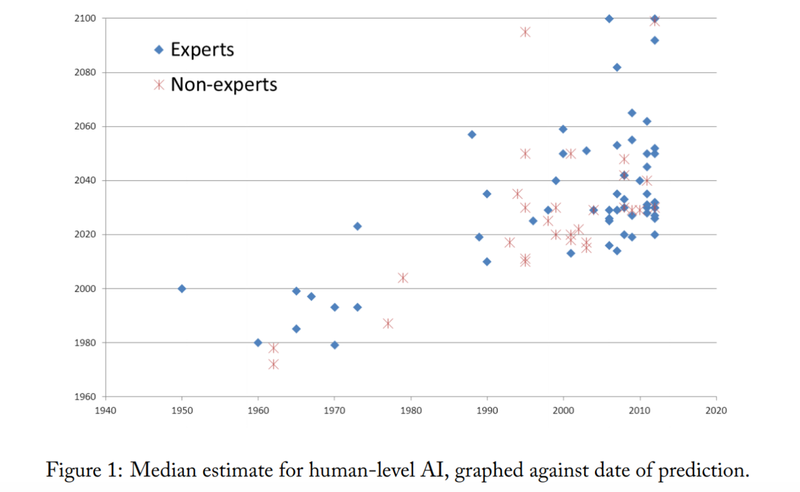 These results will inform discussion amongst researchers and policymakers about anticipating and managing trends in AI.